Brown hasn’t always been the most exciting of colours. In fact, for a while, it was synonymous with all things drab. It was the colour of gravy and the sticky carpets in dodgy pubs. Brown couldn’t be worn in town and if you did, you wouldn’t be able to land your investment banker job. In short, brown had a PR problem. It wasn't black, it wasn't navy, but it also wasn't really a colour, like crimson or mustard. It was just...meh. But change is afoot. “Brown is good,” says Thread stylist Luke McDonald. "It may be the ultimate earth tone, in that it’s the literal colour of the earth." Which means it's the perfect foil to other earthy colours – beige and green, obvioulsy, but also other shades that appear in nature, like pale blues. 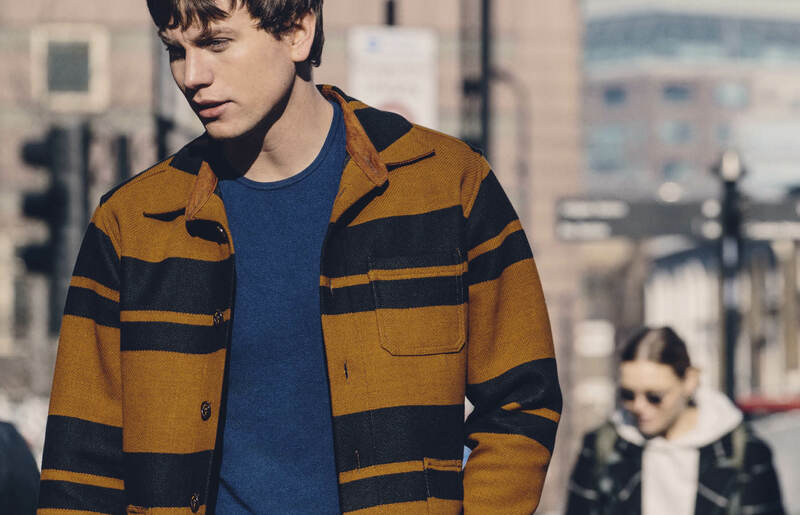 But what's heralded this revival of menswear's not-quite colour? “It has a slightly 70s vibe – think chestnut corduroy, both trousers and sofas – but it’s being brought back in a really contemporary way,” says Luke. 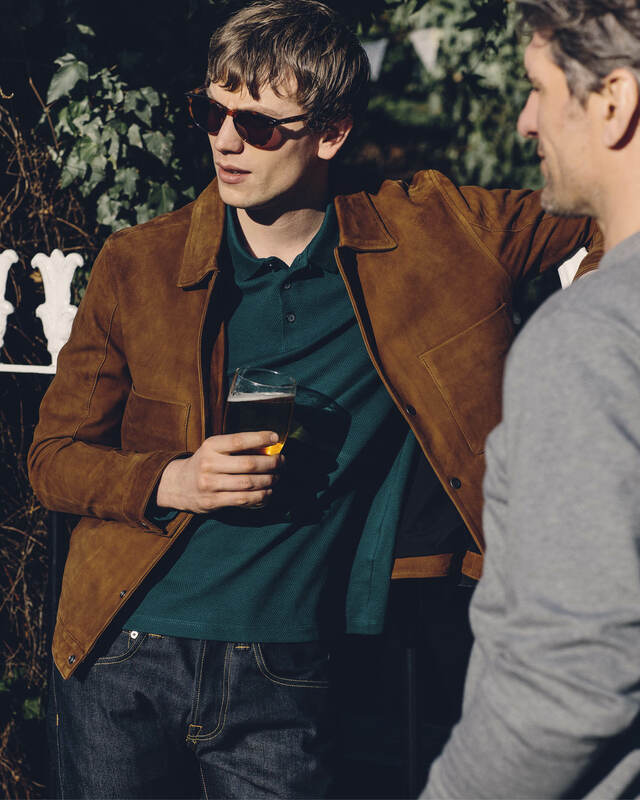 Big with big labels like Prada and Gucci, it's the rare trend that's filtered down into the real wardrobes of real men – some of our favourite designers, from Oliver Spencer to Wax London to Barbour, have deployed it on everything from trousers to coats this spring. Which means nowadays, you’re more likely to find a brown cord jacket in a high street store than you are in a vintage shop (probably because they’ve all been snapped up). 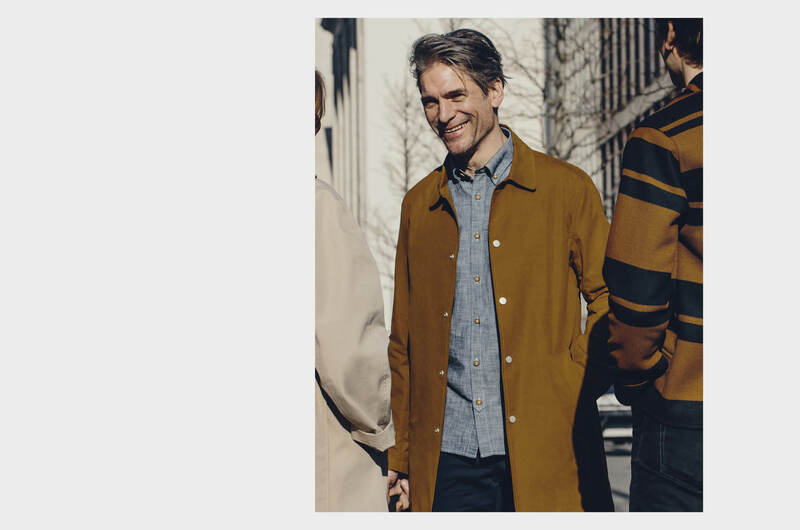 And if you’re still not sure how to make brown feel interesting, read on for our guide to wearing brown – both in town and out of it. Brown is a neutral, but it's got a bit more personality than grey and navy. 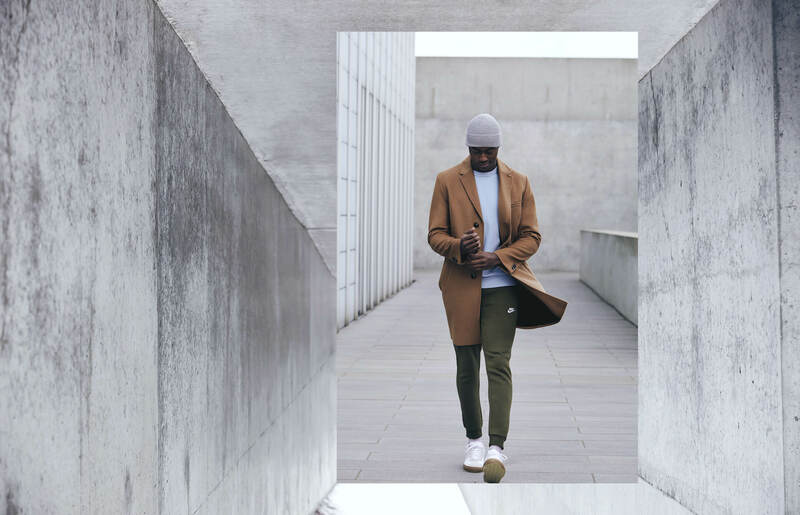 That’s particularly helpful if those tones already feature heavily in the rest of your outfit – just throw a brown coat over the top. 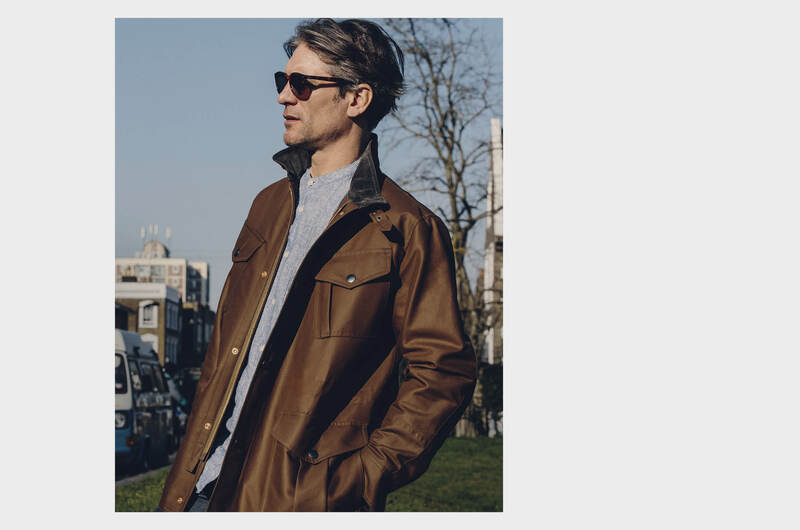 A tan trench coat is a classic, after all, and it showcases why brown's ideal for outerwear; even in the worst weather, it can take a beating before grime starts to show. But brown works nearer your skin, too. 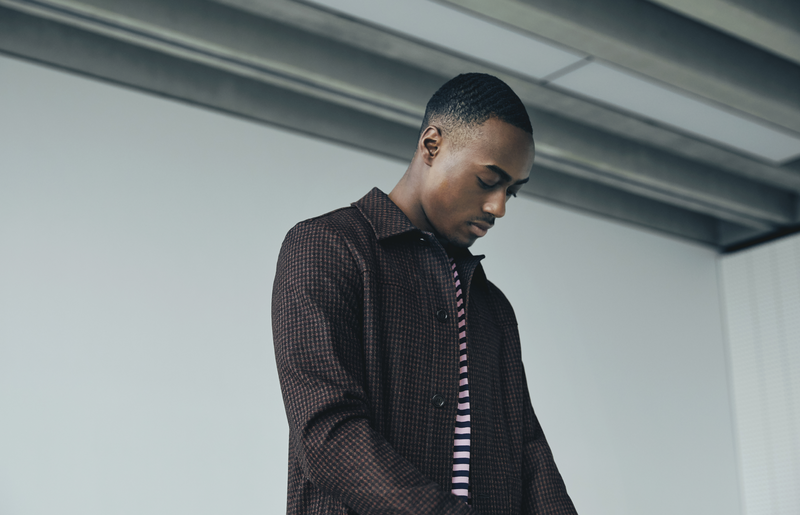 Brown shoes, obviously, run the gamut from deep chocolate loafers to caramel brogues or tan boots, but brown works on everything from trousers to shirts to tailoring. For wedding season, a brown blazer is one of the best ways to look that little bit different, without distracting from the couple at the altar. 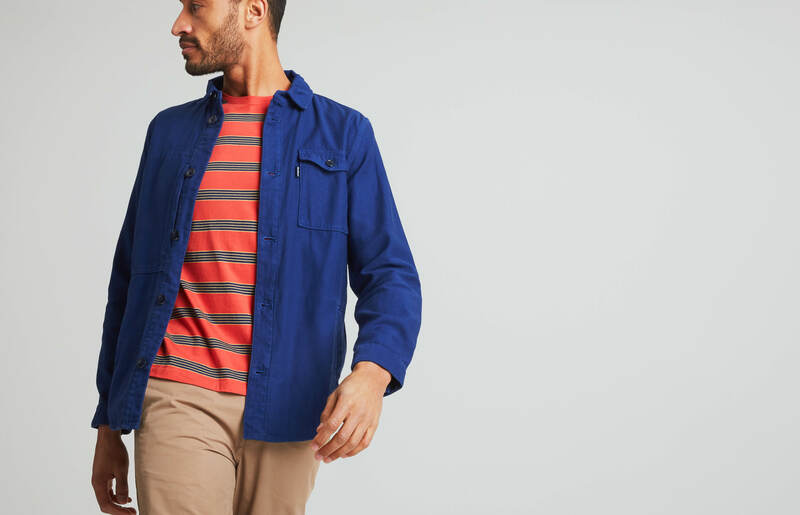 Corduroy is another fabric that really works, especially in a mustardy shade of tobacco. However, the key to not looking like you’re in an Austin Powers film is to avoid pairing it with a flowery shirt or anything too retro. Keep things cool and contemporary instead, maybe with a roll neck and a pair of running shoes. Brown, being a relatively warm colour, tends to read as more casual which is why you’ll often find brown chinos and knitwear. By the same token, if you want to dress down a formal outfit, adding something brown is a good way to go about it. Just with one caveat: the suit has to be cut in a modern way (i.e. no peak lapels and no flared trousers). Anchor the slightly unexpected colour with something really classic, like a pale blue shirt and deep green tie. Just as you shouldn't wear brown shoes with black trousers, the reverse also holds true. Just make sure your footwear's a few shades darker, so it doesn't like you're in a onesie.